If your company provides remote digital tachograph data download services to other businesses, you know the struggle of keeping all the tachograph cards organised and available at all times. Storing smart cards at clients’ offices and ensuring their availability 24/7 can be a mess. Similarly, hosting tens or hundreds of cards in your office can easily turn into a cable and card reader chaos. Luckily, there is a solution to avoid such situations – a stand alone tachograph remote download card hotel, or, as we call it, the Tacho Hotel. It’s an easy solution for storing all you clients’ tachograph cards in one place and remotely managing DDD file downloads. Tacho Hotel will be a great investment in improving your fleet management services, as well as for other similar use cases. 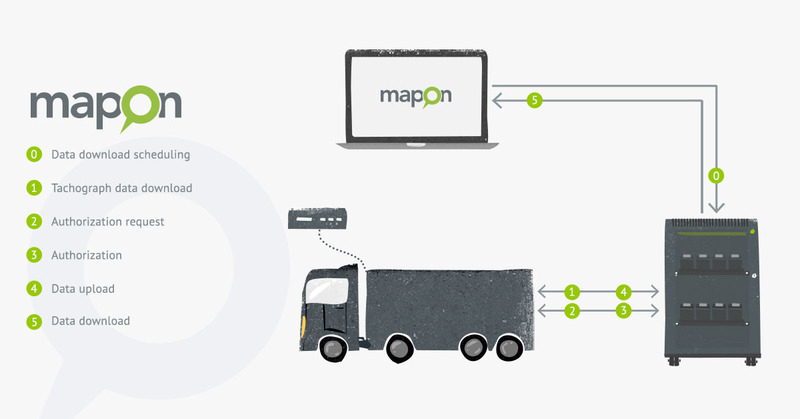 Tacho Hotel can be used both with your existing remote digital tachograph file download solution and in combination with Mapon Pro platform. What are the differences, you’ll ask? 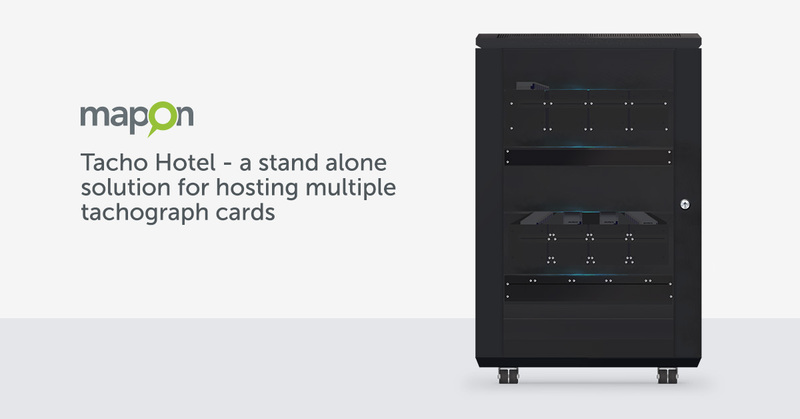 Tacho Hotel includes a place for installing a single-board PC, allowing you to apply your existing solution for authenticating digital tachograph cards, using Tacho Hotel just as a cable and card reader management tool. Combining Tacho Hotel with Mapon platform will ensure the best user experience for you. To clarify, this setup will enable you to configure data downloads to exact times, dates etc., gathering information from all vehicles in the fleet, summarizing it and preparing for further reports and analysis. In both cases, all the data from the vehicle tachograph and driver card will be automatically transferred to a secure server and available to view wherever and whenever you need to. Tacho Hotel was created after spending months of research on the current solutions the market had to offer. Not being able to find the solution that would fit our business needs and expectations, Mapon team decided to create our own, ensuring it’ll be a good financial long-term investment both for us and our partners. Mounting provided by the team who came up with the solution. We strongly believe that Tacho Hotel helps to improve the services we provide to our clients and could be useful for your business, too. You don’t have to worry about any technical issues no more. Tacho Hotel will keep your clients’ tachograph cards organized and you’ll be able to instantly spot the times, when something goes wrong in the connection or download process. Nevertheless, your clients will have a guarantee that their assets are always under control and they will have your full support whenever it’s necessary. Want to find out more about Tacho Hotel? Contact our team by writing to info@mapon.com or fill in the contact form here.